Hangad can trace its beginnings to the Ateneo High School, to a group of students who came together to sing for masses and retreats. But it was in the Ateneo College that Hangad flourished, drawn together by friendship and a common desire to share His friendship with others. 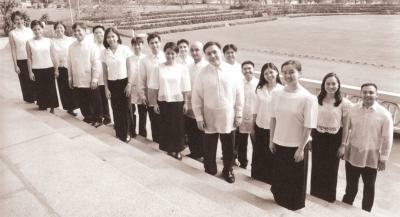 They were given the opportunity to realize this dream through Hangad -- their first album under the Jesuit Music Munistry. Since then, they have recorded two other albums. Their album Hangad Acapella! is not only a celebration of the pure voice, but also a celebration of Jesuit music, both old and new. With the album Pasko Naming Hangad, the group presents an eclectic mix of traditional carols in new arrangements. Reload this page to see other artist or product features.